Find The Best 'Hacked' & Related Domains - More Than 120 TLDs Checked! Are you tired of spending hours checking if the domains you would like to register are available or not? And let me guess... They are all taken already, am I right? There are hundreds of millions of people doing business online all around the world. No wonder why all the best domains are already taken. Well, in reality, there are plenty of great domains available to register, and 'Domain Hacker' will help you find them, in just a few seconds. 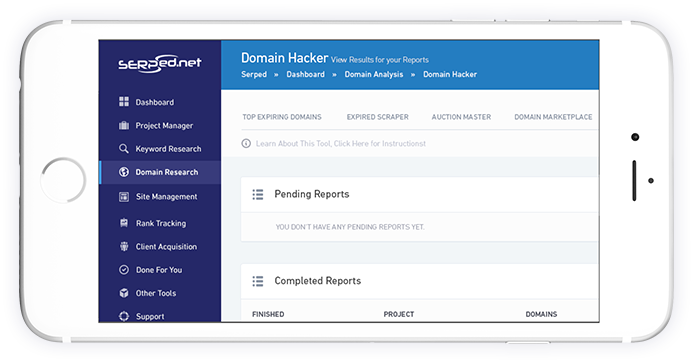 With 'Domain Hacker', all you need to do is to enter a few words and click a button, and what the tool will do is ask all the best domain registrars (so you don't have to) to know which domains are available and which ones aren't. It will not just check if the .com, .net and .org extensions are available for registration, but over 120 extensions, so you can find awesome domains no one has ever thought registering.